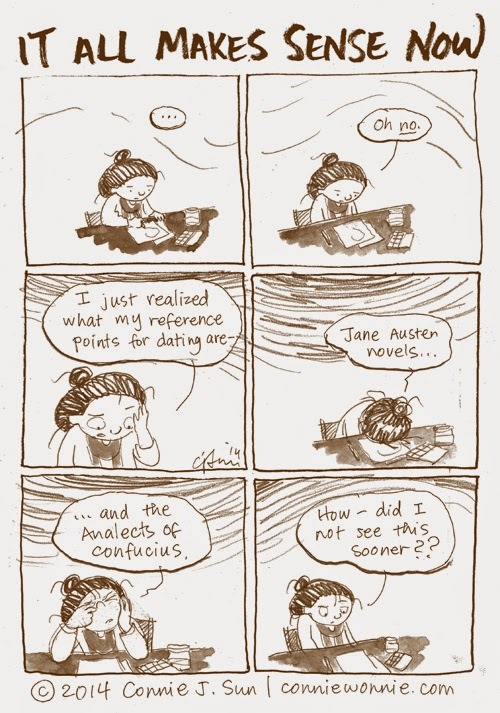 I love Jane Austen, and I'm a dude. I see nothing wrong with them as a reference. As for the Analects.....well, that may be an issue.